If you follow the blog you may have seen my recent post, ‘An Idiots Guide to Shaving’ where I shared some simple advice on how to get that great shave. Where did I get these tips from? 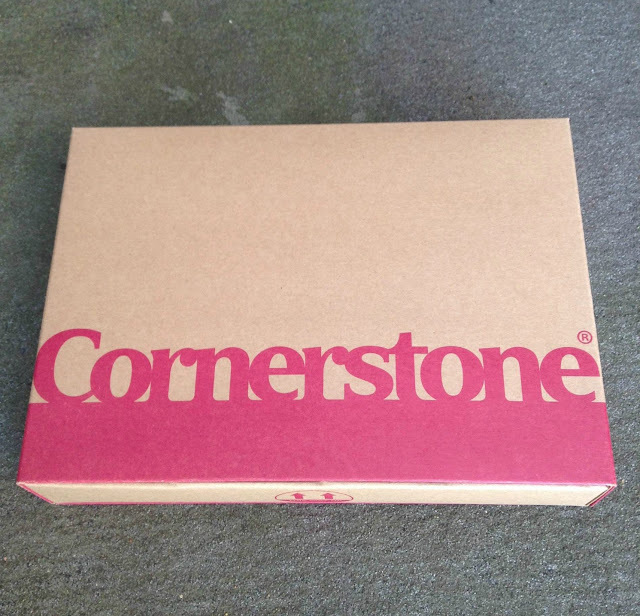 Well, the excellent folk over at Cornerstone, a flexible regular distributor of razor blades and men’s shaving supplies. The box is starting to look a bit worn after a few months of abuse! The box before I got stuck in! Oliver, the founder of the company not only talked me through the perfect shave back in April at the Man Made salon in central London, I was also provided with a full shaving kit so that I could go away and attempt that elusive perfect shave. Big smiles all around on my part and after using this now for a month where my face has actually been as hair free as it has been for years I feel that I can give a good run down of the products available, the shaving experience and whether you should be signing yourself or your other half up for a regular delivery. Cornerstone have a simple philosophy of keeping things simple, yet everything from the box and product design screams understated class, from the clean and fresh face scrub, shave gel and post shave balm to the aluminium razor (you can even have your razor monogrammed with your initials - it‘s the small things that amuse me). Delivery options couldn’t be clearer and once you have an account set up you can chop and change your options. Personally, as I use the excellent RazorBrite to keep my blades going for much longer I don’t need a regular delivery of blades. Simple, you can remove them and just select the shaving aids. Brilliant. With no minimum term, free delivery, the ability to suspend or amend how often you receive a box, or simply reduce your order means that you, the consumer are in control of what you get. Another tick in the positive box! So, what did I think of my box? I have to admit, this is by far the most impressive thing in the box for me. A 100ml tube of the face scrub utilising cedarwood and volcanic sand provides one of the best exfoliating experiences I have ever had. The volcanic sand is perfect as an abrasive while remaining gentle on the skin. A charcoal grey in colour I couldn’t detect the sand when I squeezed a bit onto my hand initially but as soon as I started to rub into my face you can feel the grains of sand. As it spreads across the face you can after about a minute see the tiny particles of sand. Awesome! Fragrance wise it is subtle and not overbearing. Despite giving it a good sniff (to the point some went up my nose) I just couldn’t identify it. Sorry! After using this and prior to shaving my face did have that post scrubbed glow, my face felt clean and my pores were well and truly open for business. Top notch stuff in my opinion and on a par at least with one of my personal favourites, Scaramouche & Fandango 'Fs' (face scrub). It's the face scrub, not my filthy face that turned the water this colour! The sensitive shave gel comes in a 150ml tube and uses a blend of ginger and eucalyptus. For me, anything that has a base fragrance of eucalyptus is a winner and this is no different - I love the fragrance, especially as the ginger aroma seems to activate as it is massaged into the face. As a lo-lather shave gel you shouldn’t expect a face full of foam, oh no, what you get is very similar to my experience with Rehab London Argan Oil Shave Gel, just a smooth covering of the gel that changes from being quite clear to off white. Personally I have found that leaving it for around 60 seconds on the face works great for my face and that lack of lather really does help you when it comes to the actual shave experience. You really don’t need to work hard and the lather/gel doesn’t clog blades, not matter what brand you decide to use. The razor is by far the coolest I’ve ever had, and now with hindsight I wish I had opted to have my initials engraved onto it. It is so lightweight even with a blade attached that you feel like you are playing around with a fencing sword as you swipe across the face. The blades are really good, they last for ages and are spaced well so that even the thickest of the thickest hair will rinse off under water as you shave. Excellent in my opinion, and with that erm, razor sharp edge you really don’t have to apply that much pressure to remove those pesky hairs. Personally this was the weakest of the box for me but that is not to say it isn’t good - after all, I have been mightily impressed with my Cornerstone box, so much so that it has taken me nearly 8 weeks to truly commit my feelings about the product to the blog - I really wanted to give the entire set a good road test. After using the products I didn’t have any irritation prior to using the balm so I can’t really comment on it’s soothing properties, but it did leave my face feeling soft and smooth. The fragrance is fairly subtle so no danger of over-powering any cologne or aftershave. I am delighted that I have had the opportunity to try the Cornerstone range - not only did I meet some thoroughly lovely people from the company, I have been shaving properly ever since and have done so without leaving my face in need of bandages/my body requiring a blood transfusion! The fact that you can alter, amend and suspend deliveries is the clincher for me, and with everything above in mind there is nothing much more for me to say. Impressed, that’s me - seriously, give them a go. The volcanic face scrub looks well cool! I've heard they are quite good for your skin. Great post! I really like the sound of these products. They would make a great gift for father's day. That sounds an excellent kit- an idiot's guide to shaving is an ace idea as so many men don't shave properly! This would be nice as a gift hmmmm now you have me thinking? I like the fact the scrub has natural sand in it. So many are still made with plastic! This box sounds great. I think my husband would love this box. 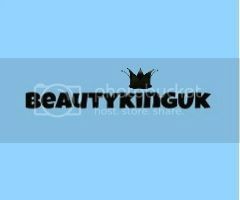 I don't know much about male products so its great to read your recommendations. I will have to pass this review on to my oh to have a read of! I can't believe you made that joke about having a cold...ewww! It is a rather fetching green though, lovely :) The products sound good, I guess they'd make a nice Father's Day present too. This looks perfect for my eldest. Great products, I was hoping to see you had shaved the beard off though, sorry! Clearly an amazing product bu these are the most disgusting pics you have ever posted! Super reading with this green shave gel! Just a quick note to tell you that I have a passion for the topic "Cornerstone shaving" at hand. As a reader I like this post and can't wait to try this for me.